This website is strictly for approved Wholesale customers only, if you are looking to purchase this Black Onyx Oval Ring from a retail store, please visit Shooting Star. Pretty Faceted Amethyst Knot Pendant. This is a lovely silver hand made Faceted Amethyst Knot Pendant. It has a stunning 14mm x 10mm Oval faceted amethyst cabochon which has been set in a beautiful celtic knot design and finished with a pretty bale. It is just over 4cm long incl bale by just under 1 1/2cm wide. Nice hand made silver Rainbow Moonstone Triple Drop Ring. This Rainbow Moonstone Triple Drop Ring has 3 lovely cabochons. In the center is a large 10 x 8 mm oval with a 4mm round above & below it. It also has three silver bands one going to the left side of the top crystal, one going to the right of the last crystal & one which meets both sides of the center crystal, giving a lovely off set look which looks stunning when worn. It comes in sizes: X Small (Size 5 / J/K) Small (Size 6 / L/M) Medium (Size 7 / N/O) Large (Size 8 / P/Q) & X Large (Size 9 / R/S) BEST SELLER! Nice silver hand made Rainbow Moonstone Oval Ring. 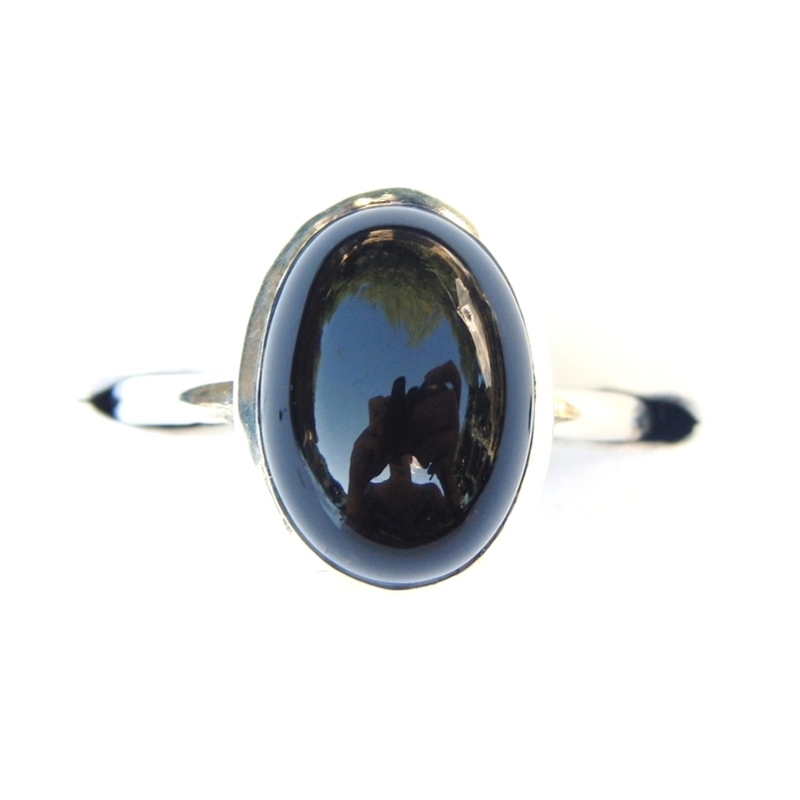 This Rainbow Moonstone Oval Ring has a Pretty 12mm x 14mm oval cabochon which is set in a lovely silver surround which really shows off the beauty of the crystal. It is a reasonably large yet light weight and it comes in sizes: Small (Size 6 / L/M) Medium (Size 7 / N/O) Large (Size 8 / P/Q) & X Large (Size 9 / R/S) BEST SELLER! Beautiful Sterling Silver Medium Angel Wing Pendant. This Medium Angel Wing Pendant is Double Sided & has pretty feathering which runs through the design. It is approx 2 1/4 cm long.